It's hard not to be skeptical of news articles you read on April 1. After all, some tech companies and media outlets do enjoy a good prank on April Fools' Day. But this announcement from Samsung does not fall into that category. The South Korean electronics maker today announces two new laptops that will actually hit store shelves. They're called Notebook 5 and Notebook 3 and come with a premium design, 8th-generation quad-core Intel Core "Kaby Lake R" processors, and large displays. The Notebook 5 (pictured at the top) is the more powerful option of the two, featuring the fastest graphics card of the bunch, namely an Nvidia MX150 with 2GB of GDDR5 RAM. The Notebook 3 (pictured below), which is offered in a 14-inch and a 15-inch version, can be had only with a built-in or slower MX110 graphics card, respectively. 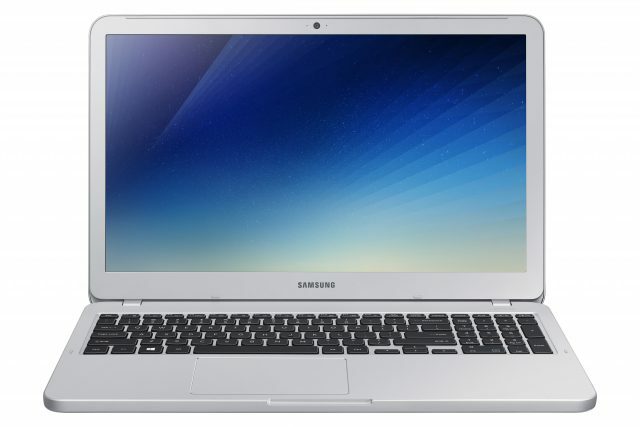 The Notebook 5 comes with a 15-inch display, with 1080p resolution and what Samsung calls "Wide Viewing" (which probably indicates the panel's IPS technology), while the 15-inch Notebook 3 can also be had with a lower-resolution HD display. Meanwhile, the 14-inch Notebook 3 is equipped with an HD panel only. 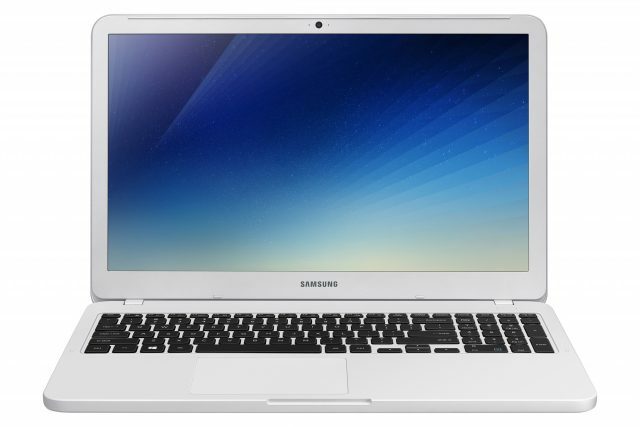 All laptops come with DDR4 RAM (Samsung does not mention the amount that's available or if it can be expanded), an SSD and HDD combo, a VGA camera and a 43Wh battery. What's interesting is that Samsung will also offer these models with dual-core Kaby Lake (7th-generation) Core processors, most likely to lower the barrier of entry for consumers who do not want the better performance or battery life that the current generation offers. Both the Notebook 5 and Notebook 3 in 15-inch trim weigh 1.97 kg. They measure 377.4 x 248.6 x 19.9 mm and 377.4 x 248.6 x 19.6 mm, respectively. The 14-inch Notebook 3 is the smallest and lightest of the bunch, as you would expect, coming in at 1.66 kg and 336 x 232.9 x 19.8mm. Samsung says that the Notebook 5 and Notebook 3 will be available starting this month in South Korea, with other markets to follow in the coming months. There is no word on pricing or exact specifications at this stage.